feathers, a Native American animal totem & conductive copper wire. optional in the case of the wands. * Staff: 5 feet (60") long by 3/4 " in diameter. 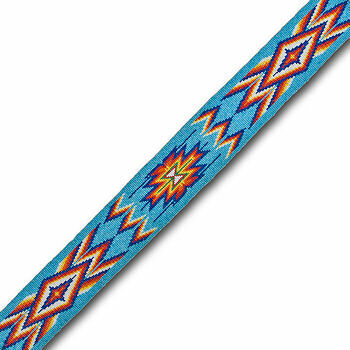 * Wand: 1 foot (12") long by 1/2" in diameter. inspired staffs &/or wands on a request by request basis. I can also design & produce a matched pair for you if this is your desire... to have a wand that matches your staff. Please see the "Staffs & Wands" page for those new staffs & wands that are currently available. Wolakota, and wopila, peace to all of you. Pilamaya, thank you, for your interest in my very unique, Native American influenced and inspired crystal staffs & wands. Remember, We are All Related, We are All One. Mitakuye Oya'sin. 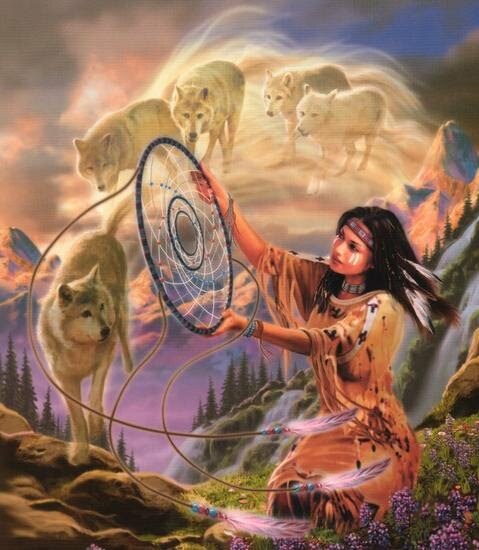 I am 'Adona', "Silver Wolf Spirit" woman, so named by the people of the Wolf Clan of the Seneca Nation. Also, please know, the energy, heritage & essence of the Dakota, Lakota & Nakota People flows & permeates through the totality of my spiritual life force. Being out in nature, being one with nature... walking in the mountains, seeing the sky, breathing the air, experiencing the birds in flight, animals, rivers, streams, lakes & ponds... all of the two & four legged ones... reminds me of how special this one planet truly is. for years I have spent much of my life using my own intuitively guided, hand crafted, wood, copper & crystal staffs in working with the energies of the ley lines of Mother Earth. I have sensed, felt, cleared out & brought in higher energies into various areas of Sedona, Arizona and on Hopi lands... helping to attune, heal & balance the energies of this beautiful planet the Creator, Wakan Tanka, has made. ** Please click here to see Thunder Hawk, "Hekili 'Io", now made famous, being used in ceremony by Kauilapele (KP) on Mauna Kea in Hawaii.